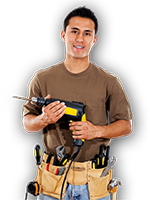 Every business property needs regular maintenance and repairs. Whether for a single visit or a continuing maintenance schedule, AAA Fix-It Technicians are reliable and skilled to be there for you. They are all experienced handymen who are trained on the importance of customer service, producing high quality work, and leaving your place of business tidy and clean to your satisfaction.